Inequity of control over food systems is a particularly insidious form of injustice. 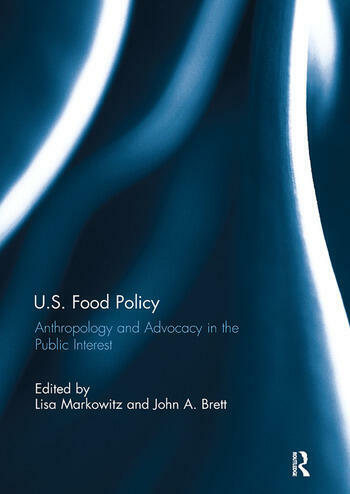 Collectively, the contributors to this volume posit that this inequity is rooted in power asymmetries in the U.S. food system and codified through U.S. food policies. This process puts the public at risk in the U.S. and, via trade and foreign aid policies, in the Global South. Inequities are manifest in the allocation of food and food-producing resources in favor of the wealthy, exploitation of the natural environment for short-term gain of private interests over long-term public ones, the framing of public discussion on food and food deprivation, and finally, the deflection of moral challenges posed by human rights to food.The contributors draw on long-term anthropological field research to examine these tensions and their on-the-ground outcomes in diverse cultural and national contexts. The authors’ insightful analyses span a wide variety of topics including dietary change, food insecurity, livestock production, and organic farming in the light of U.S. trade, food, labor, and agricultural policies and food assistance programs. The collection highlights the obstacles to, and the dilemmas and inconsistencies in, shaping policy in the public interest. This book was originally published as a special issue of Food & Foodways. Lisa Markowitz is a cultural anthropologist with interests in agrifood systems and social movements in the Americas. She is Associate Professor and Chair in the Department of Anthropology at the University of Louisville, USA. John Brett is a nutritional anthropologist with a focus on sustainable livelihoods, emerging alternative food systems, and microfinance in Latin America and the U.S. He is Associate Professor in the Department of Anthropology at the University of Colorado Denver, USA.